Vernon Eugene Cochran, 87, a former resident of Fairfax, Virginia, and more recently a resident of Parsons, departed this life Wednesday afternoon, April 10, 2019, at Cortland Acres at Thomas, with his loving wife at his side. He was born Thursday, Aug. 27, 1931, at Pierce, Florida, a son of the late Marshall Barry and Lila Herring Cochran. On April 15, 1967, at Washington, D.C., he was married to the former Julia Ella Sue Kisner, who survives. They celebrated 52 years of marriage. Surviving are 11 nieces and nephews, Virginia Bowman, Wanda Carr, Rowland Kisner, Ralph Kisner, Lois Kisner, Michael Kisner, Louella Friend, Rebecca Dixon, Karen Bishop, Steve Kisner and Phillips Kisner; and several great nieces and nephews. Preceding him in death is one brother, Ernest R. Cochran, and one niece, Linda Kisner. He attended the schools in Georgia. He was a veteran of the United States Navy from 1948 to 1951 and the United States Army from 1951 to 1956 as an army paratrooper airborne. 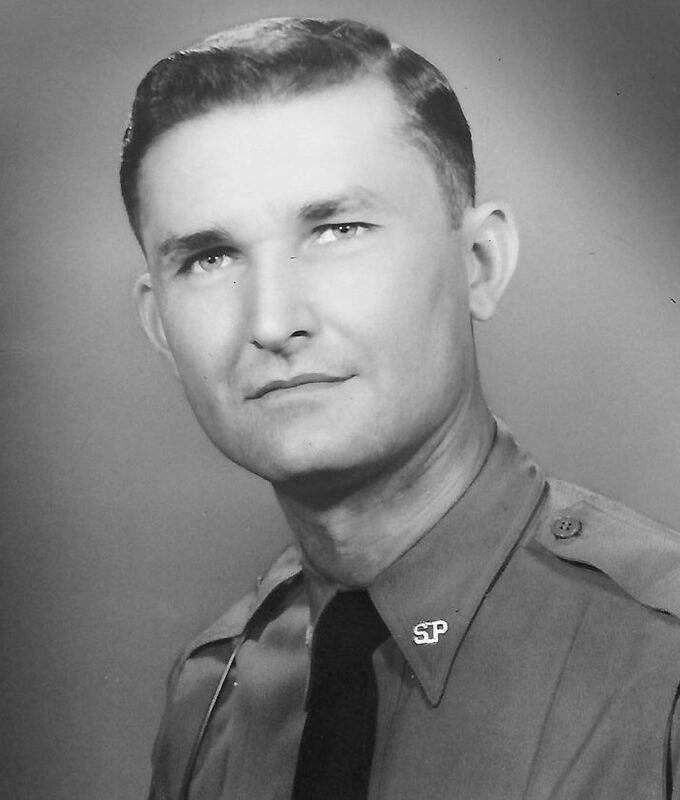 He was a Georgia State Trooper and later served as a Fairfax County Police Officer, retiring in 1987. He attended the Grace Baptist Church in Fairfax County, Virginia. Mr. Cochran enjoyed shooting in his earlier years, fishing and working outside around his home. The family will receive friends at the Lohr & Barb Funeral Home of Parsons today from 4 – 7 p.m. Final rites will be conducted at the funeral home on Saturday, April 13, at 11 a.m. The Rev. Michael Walters will officiate and interment will follow at the Bethel Cemetery at Holly Meadows, where the H.W. Daniels Post 29 American Legion, the Tygart Valley Post 3647 Veterans of Foreign War and the Tucker County Veterans Association will conduct full military honors. The Lohr & Barb Funeral Home is in charge of the arrangements for Vernon Eugene Cochran. Condolences may be expressed to the family at www.lohrbarbfuneralhome.com.